i caught this book at turk's coffee shop. its a beautiful and engrossing book. the ending is a tad predictable and disappointing after all the slow-burning suspense, but its message is important. as someone who grew up in northern ontario, where the book is set, i deeply appreciated the vivid and compelling rendering of the landscape and community. i really enjoyed crow lake. i'll either put it back at turks or pass it on to a friend. loved this book. loved the vivid depiction of the landscape, the emotions, the characters, the community. i am from northwestern ontario and it had me steeped in sense memories of home. passed it on to a friend, who read it in one night and loved it as much as i did. and then we took it back to turks, on the drive. Picked this up at Turks on the Drive when I was dropping some of my own books off. Looking forward to reading it. 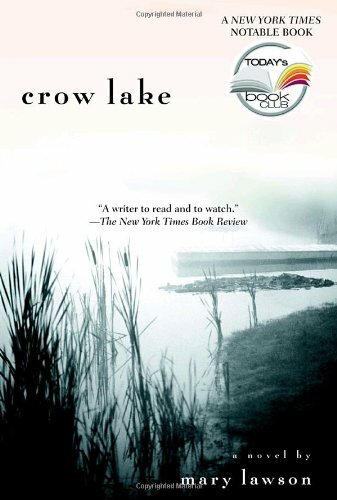 Crow Lake is that rare find, a first novel so quietly assured, so emotionally pitch perfect, you know from the opening page that this is the real thing–a literary experience in which to lose yourself, by an author of immense talent. This was a wonderful story. It is so beautifully written and I highly recommend it.